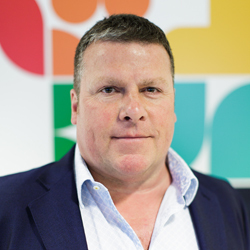 Unlimited Group has appointed Michael Richards as group managing director, a role that will see him “capitalise on new opportunities”. The appointment comes following the recent announcement of the group’s restructure and rebrand around its seven core disciplines. Tim Bonnet, president of the Unlimited Group, said: “I am really excited about Michael’s appointment. Richards joins the group from VCCP, where he held the role of international managing director. He said: “Unlimited Group is a gem, with some great agency brands. “I’m very excited to be working with such an impressive team, being wingman to the existing management and looking forward to lots of collective success and fun delivering great outcomes for our clients as we bring our new proposition ‘the impact of art and sciences’ to life. Richards will head the group’s partners’ board and will report into the group Chairman Ian Ferguson.